room31fashion: Get Summer Ready with Room31's Yumi Discount! Get Summer Ready with Room31's Yumi Discount! One of my all time favourite brands is the almighty Yumi. No-one else manages a more affordable quirky print that draws you in so quickly. From foxes and owls in Autumn / Winter to boats and anchors in Spring / Summer. Nobody does it better. Yumi discounts can be hard to find so when one comes along you'd be best grabbing it with both hands! Luckily that's just what we have here! 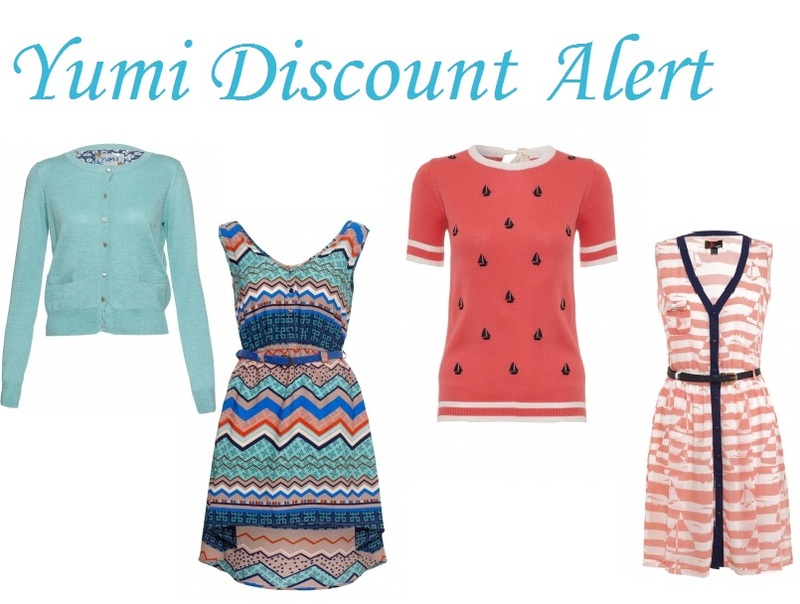 A Yumi Discount! A big whopping 35% Discount! Simply head to www.room31.co.uk pick your goodies and then just enter YUMI35 at the checkout, couldn't be more simple! Some of my favourite Yumi pieces are the cute Hayley Pastel Cardigan in Mint, the beach-perfect Cheryl Dipped Hem Aztec Print Dress, the adorably retro Ava Embroidered Boat Jumper and last but most certainly in no way least the Jenna Boat & Stripe Print Dress. All absolutely perfect for taking your wardrobe firmly into Spring and Summer.